Hmm..Surprised no one has responded to this considering the popularity of the original Moto x. Id be really excited if a 4.5-4.6 inch high end Motorola came out. Loved the original x and would have stuck with them every year if they kept that form factor. I'm not seeing the significant advantage over the G4 and G4 plus. Is this device intended for a market outside the US? 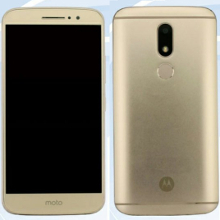 I don't think this Moto M is intended for the US market. It looks like Lenovo is readying a new budget Moto M series that will co-exist alongside the Moto G and the entry-level Moto E lineup. Dubbed the Moto M, the phone features a metal body and is rumored to offer a Snapdragon 625 SoC, up to 4GB of RAM, 64GB storage, microSD slot, and a massive 5100mAh battery. The XT1662 version of the phone that is heading to China will come with Microsoft apps pre-installed such as Skype, Microsoft Office and OneDrive. With a code name of Kung Fu, the Moto M comes with a 5.5-inch screen carrying a 1080 x 1920 resolution (FHD). The MediaTek MT6755 SoC is under the hood equipped with an octa-core 2.1GHz CPU, and the Mali-T860 MP2 GPU. 4GB of RAM is inside, along with 32GB of flash memory. A 3000mAh battery keeps the lights on, and Android 6.0 is pre-installed. The device will come in two different variants: one for the US, and one for China. The difference lies within the fact that the base model Moto M will feature 3GB of RAM and 32GB of storage, while the Chinese variant will “only” include 4GB of RAM and is offered with either 64GB or 128GB of storage. There will supposedly be another US model which includes 4GB of RAM and 128GB of storage, turning this one into the go-to option. Anyone know if the Moto M will be Verizon compatible? Nothing to indicate that yet. I've seen varying reports about the battery size fwiw. It's apparently going to be branded Lenovo; not sure if it's coming to the US or not.